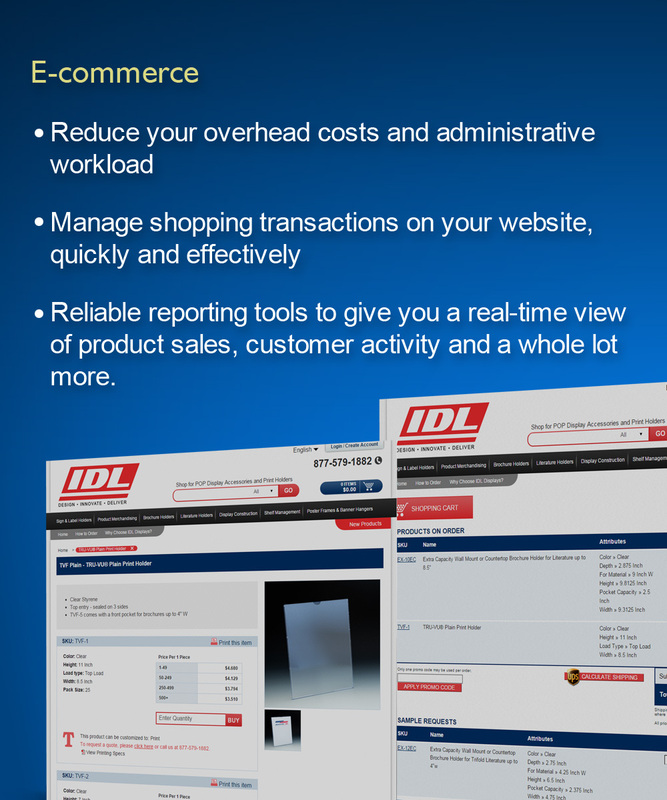 A safe and reliable way to optimize your online sales. We provide a unique combination of sound strategic counsel, program development support, and an automated suite of web-based tools to support your e-commerce needs, while reducing your overhead costs and administrative workload. By staying attuned to the business priorities you set out, we can help you develop a complete online order life-cycle strategy, as well as establish and implement processes to manage shopping transactions on your website, quickly and effectively. Shrinking Planet’s integrated suite of web-based solutions include a powerful e-commerce component that allows you to post items in real-time to an online catalog and create specialized shopping areas for preferred customers, all at the click of a button. Not only that, but your customers can search the catalog by keyword, add items to their shopping cart, and make payments by credit or debit card via a secure online payment system. On the order management side, Shrinking Planet can provide you with reliable reporting tools to give you a real-time view of product sales, customer activity and a whole lot more. There’s a lot more to the story. ©2018 Shrinking Planet Inc, All Rights Reserved.